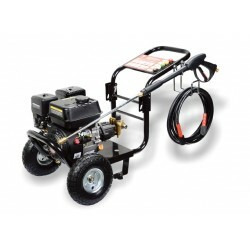 The ANLU ABW pressure washer is a compact and lightweight solution to all of your light pressure cleaning needs. The ANLU ABW-VAT home pressure washer is a compact and lightweight pressure washer, perfect for all of the lighter cleaning tasks around your home and garden. Fitted with two large wheels its easier than ever to transport a pressure cleaner around. 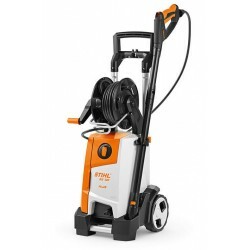 The pressure washer comes with an ergonomically designed trigger gun which boasts a multifunctional vario spray nozzle that goes from 0 to 30 degrees spray angle. The trigger gun is attached to 5m of high performance high pressure hose to make sure you can reach those hard to get to places without lugging the whole pressure washer with you. A detergent bottle is also provided to attach to the trigger gun. The ANLU ABW pressure washer has a smart auto start stop system, this means the machine only runs when the trigger is pulled, this, along with a high performance aluminium high pressure pump which features high corrosion resistance, provide the ANLU pressure washer with a long life.